Annually my friend Erin and I host a fondue holiday party for couples only (kiddos have to stay at home). We provide the meat (chicken, steak, sausage, shrimp) and everyone else signs up for different sides. This year we made three different fondues – oil (for the meat), cheese (for the bread and sausage) and chocolate (for the breads, fruits and cookies). Wanted to share a few photos of the festivities…. 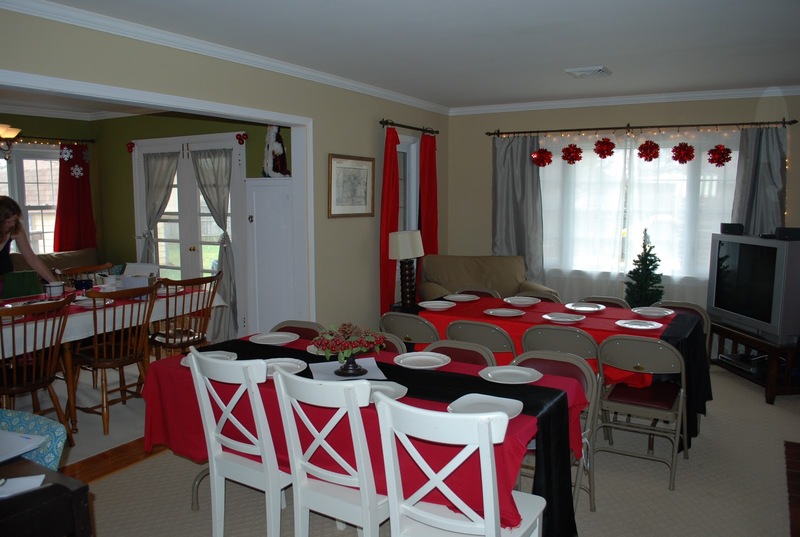 We had 24 confirmed guests, so we converted the space with our specified color scheme (red, silver and white). 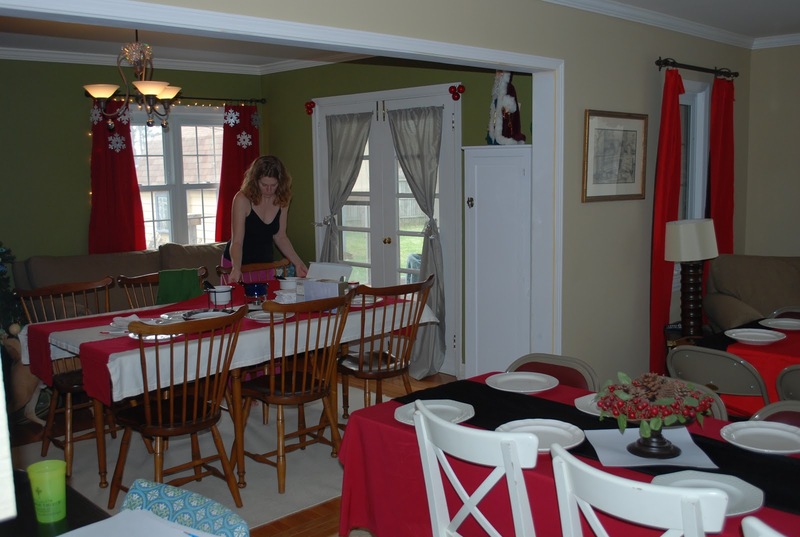 The table cloths are scrap fabric, and the white plate have been collected over the year at garage sales. Each table had 2 oil fondue pots and two cheese fondue pots. (The chocolate pots were in the dessert station in the kitchen). We even covered the already beautiful curtains with red draped fabric. We wanted everyone to have two similar color forks (to help alleviate confusion of whose meat is whose! 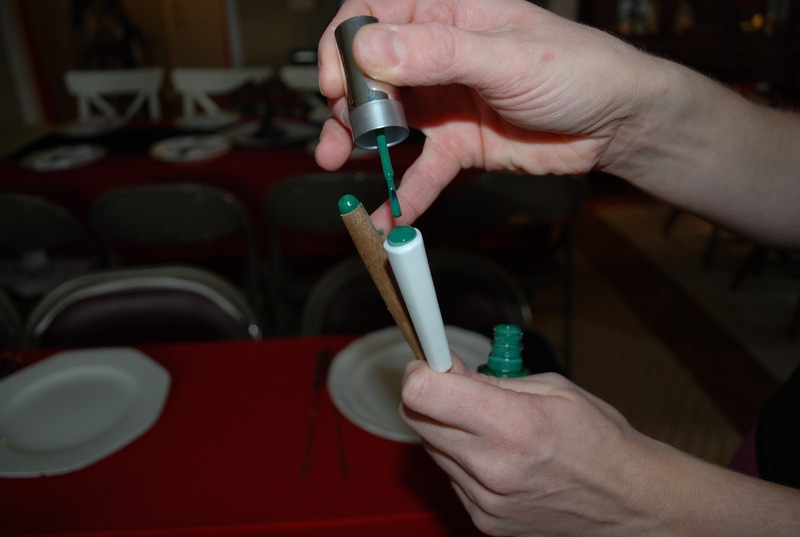 )….however some of the forks didn’t match, but Erin came up with an AMAZING idea….NAIL POLISH!!!! 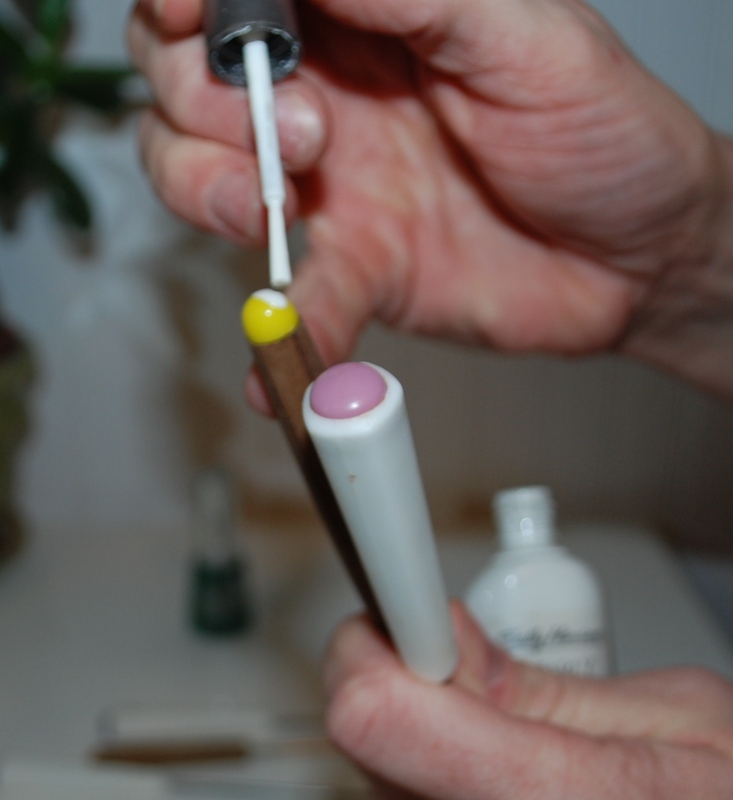 Not so sure why she had white and emerald green nail polish, but I didn’t judge because it solved our problem! Along wth the matching white dishes, we wanted white napkins. 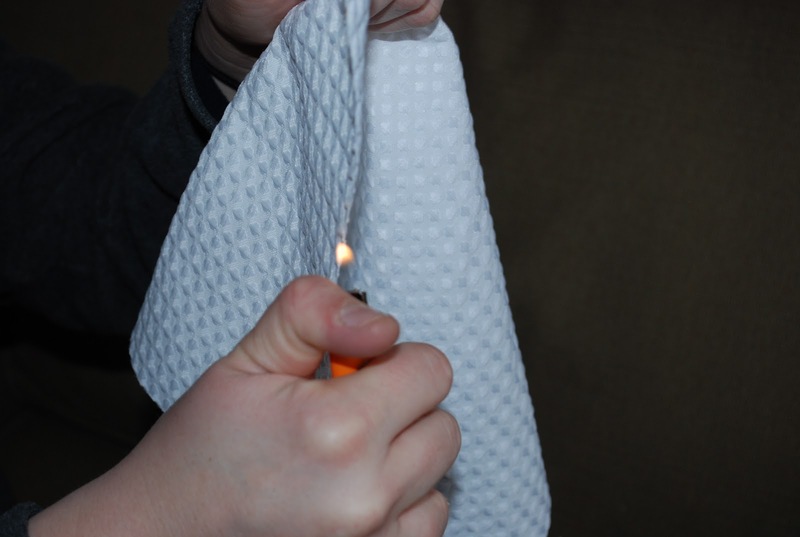 At last minute I cut the last twelve napkins, but I didn’t get a chance to serge the edges, but I came up with a very quick fix……sear the edges with FIRE!!!!! Worked out beautifully and no one new any different! 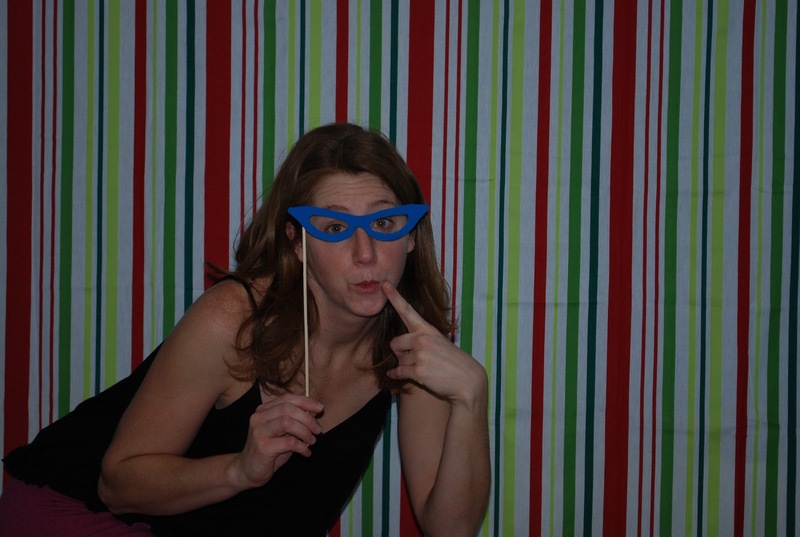 One cool feature we had was a “photo booth room” for our guests. We provided props, a camera on a tripod and a backdrop. It was a HUGE hit of the party! Below is Erin giving us a quick trial run…. We also like to give our guests a little take-home treat, to which we were inspired by an idea on Pinterest from “Not So Idle Hands” (who doesn’t love Pinterest, right?!). 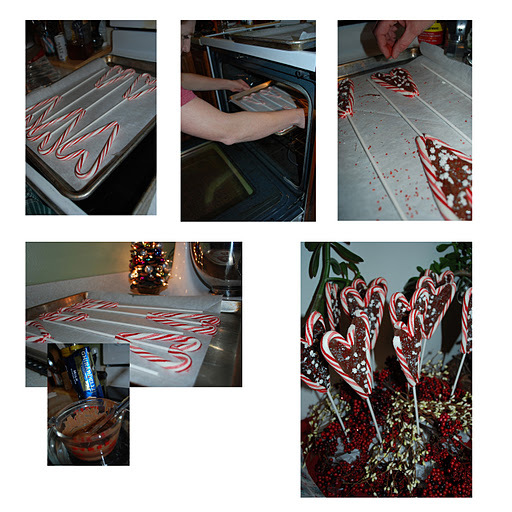 Here’s how we made them….. So inspired…..I love it! I should hire you to do this at my home next Christmas!! You girls rock! I hope we'll be able to come to the next annual fondue party! Fondue Parties are the BEST!!! This is amazing! Someday, Adam and I will move into a bigger apartment and host parties like this. P.S. How did I not know you had a blog until now? I love it!